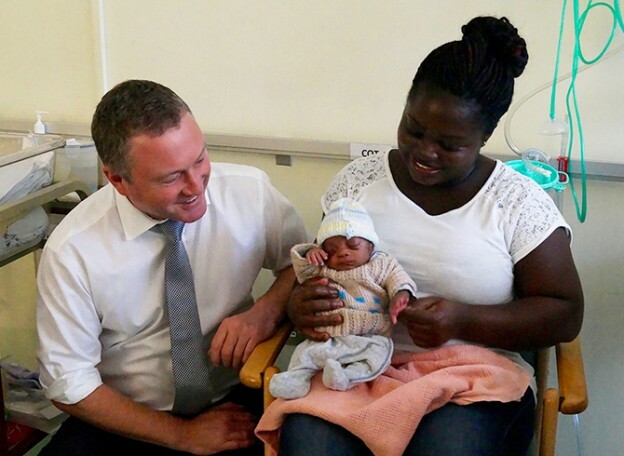 Croydon North MP Steve Reed has welcomed the Government’s first steps to support mothers of premature babies following legislation he introduced in the House of Commons. Employment Minister Margot James has announced plans to publish guidelines for employers on how to support their staff in the event of a premature birth. Steve introduced the Maternity and Paternity Leave (Premature Birth) Bill in October last year. The bill proposed a change in the law to extend maternity and paternity leave for parents of premature babies, and had the support of MPs from all political parties. The bill followed a campaign launched by Steve’s constituent Catriona Ogilvy. Catriona’s campaign, The Smallest Things, attracted nearly 130,000 signatures on an online petition calling for change. “This is a very welcome first step from the Government, and I’m delighted that charities will be given a say in how the guidelines are drawn. Promoted by John Wentworth on behalf of Steve Reed OBE MP, both at 908 London Road, Thornton Heath, CR7 7PE.